Sick of giving the standard passport holders - give these a try! Whether you’re looking for something unique for a fellow jetsetter, or you need a good gift guide to subtly put under your parents’ nose this Christmas, we’ve got the perfect gift guide for every BRB traveller right here. Before we begin: you’ve already got a luggage tag, right? Great. On to the good stuff. You don’t have to be that person rummaging around your Airbnb for a cup / bowl / empty Amazon box to amplify your smartphone playlist. Decent travel speakers aren’t expensive, and they can make all the difference whether you’re on the move or settling into your holiday home. When you’re shopping for a travel speaker, think about when you’re most likely to want some tunes - it’ll help you decide on the most important features. If you’re usually found on the beach, water- and sand-proofing is important. If you like to pull an ‘everyone back to mine’ with the locals, then look for speakers with multi-point pairing, so that multiple devices can connect at the same time. However you travel, you’ll want a decent battery life and a quality sound - find a speaker with both, and you can focus on crafting the perfect holiday playlist. If you don’t habla Espanol (or any other language) then you can get by with the Google Translate app - especially now that it can visually translate nearly 50 languages. 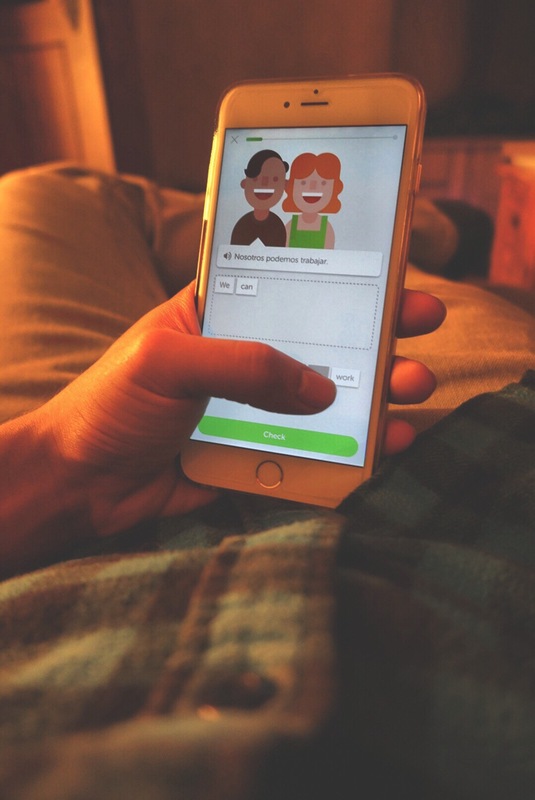 But if you’re looking for a more authentic connection, an app like TripLingo can help you sound like a native speaker and give you awesome insights into the local culture. Begin by selecting your destination, and the app will provide the relevant language voice and image translators, a selection of super-helpful local phrases and even an info pack which covers cultural customs so that you can act natural in your new environment. The local phrase guide is particularly good - with essential lingo for every situation including jokes and flirting! No winky face emojis necessary. Smart suitcases can’t help you order two beers in flawless Catalan, or find the best Sachertorte in Vienna. But they can make your travel experience slicker and stress-free, leaving you with more time and energy to take in your (amazing, new) surroundings. Instead of rummaging around in the bottom of your old gym bag for the keys to your hostel. There’s a wide variety of suitcases and bags now available that are designed with the savvy traveler in mind. Need an internal phone charger? How about a traceable combination lock? Or 360 degree wheels for those tight corners in Schiphol airport? Treating someone (or yo’self) to a well-designed suitcase also guarantees that you’ll fit cabin bag regulation guidelines. No more last-minute checking your bag in the hold for you, smart stuff! If you’re packing light but still want to come back from your trip with quality content, then consider a lens set for your smartphone. Most lenses are designed to clip over both the front and rear cameras, so you can instantly transform your photos with 90s hip hop video fish-eye effects, or macro settings so you can really zoom in on the details. Without dropping your phone into your local cuisine. Add-on lenses are lightweight and pack away easily, so you can make the most of every photo opportunity without looking like a massive camera-wielding tourist. A scratch-off map of the world. Scratch off the destinations you’ve visited, like a lottery card where you’re always the winner! Personalised luggage tags. If you really must. Beat the pressure to find the perfect party and have the best night ever by having it large in another country.